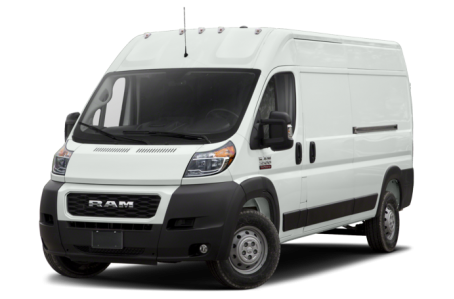 The 2019 RAM ProMaster 3500 is a commercial van for cargo and passenger transport. The 3500 Cargo Van has two wheelbase options: a 136-inch and a 159-inch. Both wheelbase versions only have the high roof configuration. Under the hood, the ProMaster 3500 is powered by a 280-hp, 3.6-liter V-6 engine mated to a six-speed automatic transmission.